ISLAMABAD: With the use of electronic and biometric voting machines dismissed by the apex electoral body ahead of last year’s general elections on account of ‘technical difficulties’, another private company has sought to reignite the debate by introducing its prototype. The new electronic voting machine (EVM), developed by ElectronBallot, was unveiled in the federal capital on Monday. 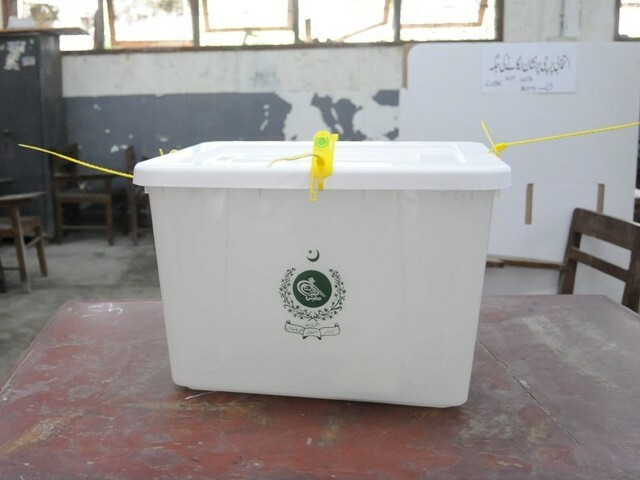 Rizwan Kamran, the chief executive officer of the company, introduced the machine as an alternative to conventional voting (paper ballot). He claimed that the machine can deliver final, verified and official results on the night of an election. Moreover, he said that the machine was capable of delivering results to a centralised location. “Digital elections do not mean they are safe,” he warned, adding that they could employ mathematical tools to make the electronic voting process more transparent. He added that they have introduced a cryptographically secure machine. “If we are given a chance, we can demonstrate the machine in the upcoming elections,” he said, adding that they could start with one constituency as a pilot. “Gaining the trust of voters is extremely critical in an election,” he said while referring to the widespread claims of rigging in past elections which made them controversial. Moreover, a number can be provided to the public to check online if their vote was cast correctly or not. He added that the training process to use the machine is quite easy as well. Referring to the machine which the Election Commission of Pakistan (ECP) overlooked during the July 2018 elections, Kamran claimed that their product was many times cheaper, if not better. Pakistan Tehreek-e-Insaf (PTI) lawmaker Sahibzada Subaghtullah Kakar said that a committee on electoral reforms had suggested using e-balloting but it was not implemented.